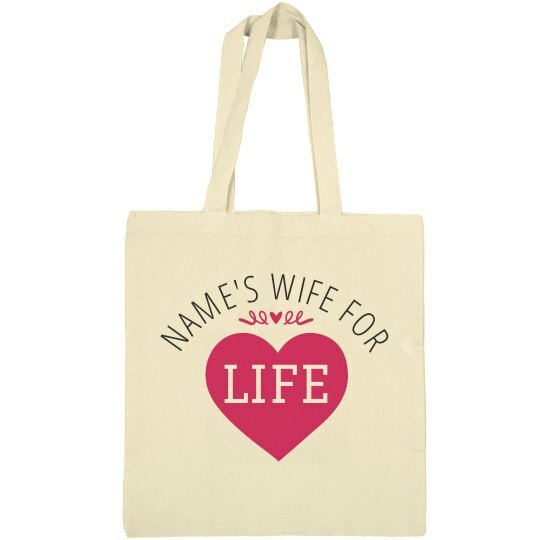 Be ready on your honeymoon trip with this fun "Wife for Life!" tote bag! Put in the name you need, and play with the colors to really show off your creativity. Use this customizable bag for souvenirs, clothing, or even electronics.